Vineyard Youth Tennis has been providing tennis instruction to Island kids for the past 20 years. Now the mission continues. The first week of March this year was not a good time for Vineyard Youth Tennis. 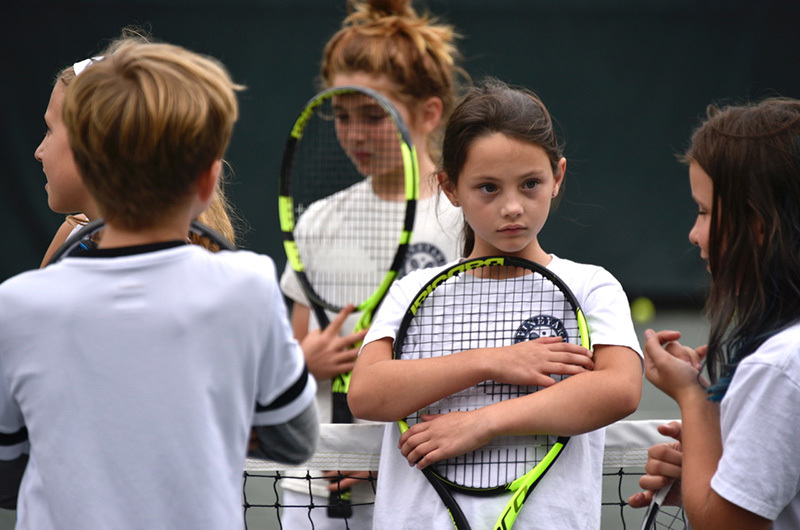 The organization was scrambling to figure out how to continue the acclaimed youth tennis instructional program after its generous benefactor announced he would stop funding the program after 20 successful years. Then a vicious northeast storm struck the Island, and destroyed the organization’s bubble structure off Barnes Road in Oak Bluffs. Fast forward through many months of dedicated work by Island leaders and the tennis community, and things couldn’t look better for the program. The new year will bring a restart, with a new facility, a new adult program and even a new name: Vineyard Family Tennis. Chris Scott was among the community leaders who helped reorganize the program. “[Benefactor] Gerry DeBlois, who made an enormous gift to the Island for 20 years, always said if the community valued it, after he was no longer able to fund it, people would step up and keep it going, and I’ve watched it happen,” Mr. Scott said. The after-school youth tennis program is scheduled to begin Jan. 14, with every level of instruction for kids from age three to 18. There are plans for a free session to first-time tennis players who want to try out the program. There will be some changes. Though the program will remain heavily focused on kids, adult play will be introduced at other times of the day in order to help sustain the program. The program was once free to all Island kids, but going forward families will be asked to pay part of the cost of instruction. Mr. Scott said a financial assistance program is in place for Island families who might otherwise not be able to participate. “We’re not going to turn away a child if there’s real true family financial hardship,” Mr. Scott said. In general, the program will now run on a financial model where the youth tennis fees cover the cost of instruction, while adult membership and court fees will cover the cost of overhead for the facility. Adults will have access to the courts in the mornings, early afternoon and evenings, outside of the hours reserved for youth instruction. Mr. Johns plans a schedule of adult instruction, court time and tournaments. While the final cost structure for adult play is still being worked out, it will likely involve a membership fee and charges for court time and instruction. All this will take place in a brand new bubble facility, made possible by a $250,000 grant from the community charitable fund MVYouth. This week, contractors were scrambling to prepare the site for the new bubble, which is scheduled to arrive on the Island Jan. 4, and go up the following week. It will replace the 20-year-old structure that was destroyed in the storm. Perhaps most importantly, it is designed to survive a strong hurricane. Also on Jan. 4, Vineyard Family Tennis plans a kickoff open house for parents and children to check out and preregister for different program options. Mr. Scott said it took a lot of work by a lot of people to keep the youth tennis program going. The program is widely credited with making the Martha’s Vineyard Regional High School boys and girls tennis teams a formidable force in competition, with several state championship seasons to their credit. I think this is great! Kudos to Chris Scott and all of those involved in stepping up to continue Mr. DeBlois’ legacy of a great program that has contributed to, and produced tremendous growth in youth tennis for the MV community. And, the program is in good hands with Mike Johns!